Hearing loss is a major public health issue that is now the third most common physical condition in adults after arthritis and heart disease. Hearing loss can occur at any age and early detection can help prevent additional, long-term health implications. It is important to see your hearing care professional on a regular basis as part of your overall wellness program. 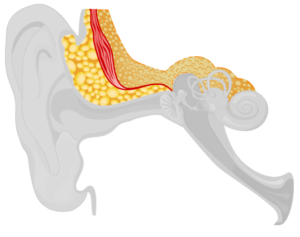 Sensorineural hearing loss occurs when inner ear nerves become damaged and do not properly transmit signals to the brain. With this condition, individuals may seem to always be mumbling. Unfortunately, sensorineural hearing loss is not often medically or surgically treatable, but it can be overcome with the use of hearing instruments. Conductive hearing loss is the result of disorders in either the outer or middle ear that prevent sound from getting to the inner ear. With this condition, anything you hear may sound faint, distorted or both. Most conductive hearing loss can be helped medically or surgically if treated promptly. If a hearing loss is the result of both conductive and sensorineural components, it is known as a mixed hearing loss, and indicates that there are problems in both the outer or middle and the inner ear. Age-related hearing loss occurs in one out of three people over the age of 60 and in two-thirds of people over the age of 70. Injury to the delicate hair cells in your ears, from sudden or prolonged exposure to loud noises, can result in temporary or permanent hearing loss. An object inserted into the ear, viral infection, explosion, or pressure differences (think plane travel or scuba diving), can cause trauma to the eardrum. Although a medication’s benefits typically outweigh the risks, such as chemotherapy to treat cancer, medications can cause hearing loss. Abnormal fluid in the middle or inner ear can cause hearing loss and other symptoms like ringing in the ears, vertigo and/or nausea and vomiting. Wax lubricates, protects and helps keep our ears clean, but too much can impede hearing. The circulatory issues that diabetics face due to glucose overload also means they are more likely to suffer from hearing loss. A hereditary disorder causing progressive deafness due to overgrowth of bone in the inner ear, it may be accompanied by ringing in the ears. Hearing aids come in many different styles and sizes. The best style and fit for one person might not be the best option for someone else. Your audiologist will help you determine which device best suits your level of hearing loss, lifestyle and budget. BTE hearing aids are housed in a durable case that rests on the back of the outer ear. A small tube connects to the amplification device behind the ear and delivers sound into your ear canal. BTEs are suitable for all levels of hearing loss. 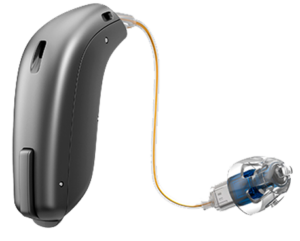 RIC hearing aids look similar to BTE devices. The difference is that the speaker of the hearing aid is placed inside the ear canal with thin wires replacing the acoustic tube of the BTE aid. RICs are suitable for all levels of hearing loss. CIC hearing aids are custom molded to your ear canal and are the smallest hearing aids available. A tiny cord helps the user insert and remove the device. 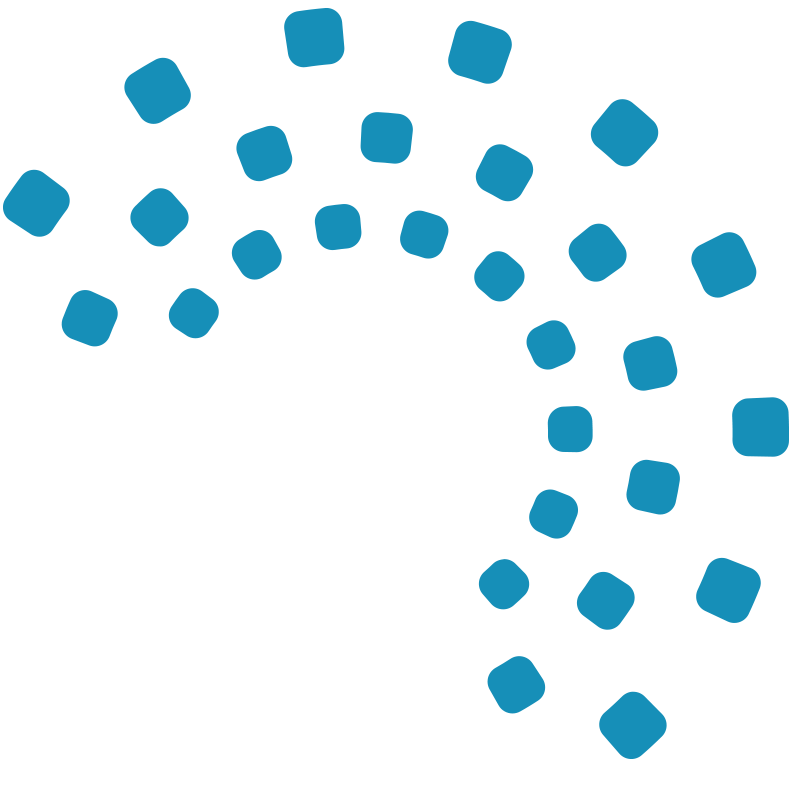 CICs are very discreet, making them difficult to notice, and are suitable for mild to moderate hearing loss. ITE hearing aids are worn entirely in the ear and are larger than CICs. They are custom fitted to your outer ear’s contour and are ideal for mild to moderate hearing loss. If you’re interested in learning more about how to achieve better hearing, visit Healthy Hearing, your online resource for hearing healthcare news, tips and additional information on hearing loss. Your hearing enables you to understand and communicate complex ideas, passing thoughts, and jokes every day. Those who participate in a hearing screening and improve hearing health increase their quality of life and decrease the risk of depression. 36% of patients who begin wearing hearing aids experienced improved overall mental health. Some forms of hearing loss are subtle and only occur in certain situations; make sure you can hear all the sounds of your life. Beyond hearing, our ears are a key contributor to our balance — when they are affected negatively, incidents of falling increase. People with hearing loss are three times more likely to have a history of falling. In 2013, the cost associated with falls among older adults totaled $34 billion. Your ears can identify frequency, pitch, location, and many other details instantly — the better they work, the sharper your mind is likely to be. People with moderate or severe hearing loss have a 55% increase in risk of dementia. Estimated costs (health care, long-term care, hospice) associated with dementia total $236 billion. Hearing loss can have a disruptive effect on the daily life of those affected and research indicates that many adults are unnecessarily prolonging the adverse conditions by not seeking treatment. Adults over the age of 55 should have their hearing checked on an annual basis as diagnosed hearing loss can also be an early indicator for other health problems. Over time, loud noises can cause damage to the hairs inside your ears that help conduct hearing. If you know you will be in a situation with loud noises, wear ear plugs. Do not use cotton swabs to remove earwax, as they can actually push the wax deeper into your ear. Use earwax removal kits to loosen the wax and wash it out, or have your doctor assist with wax removal. If hearing loss is detected, it is important to treat the loss as soon as possible! 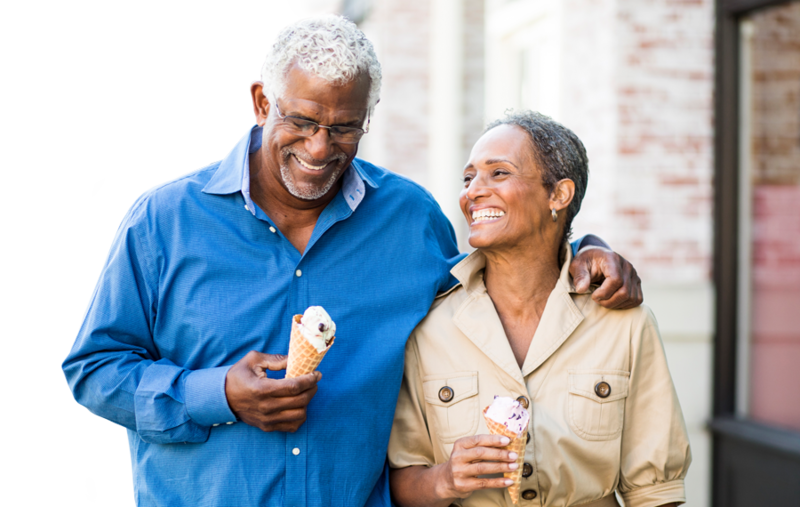 There are many different hearing aid device options available and your hearing care professional can help determine the device best suited for your level of hearing loss and lifestyle.